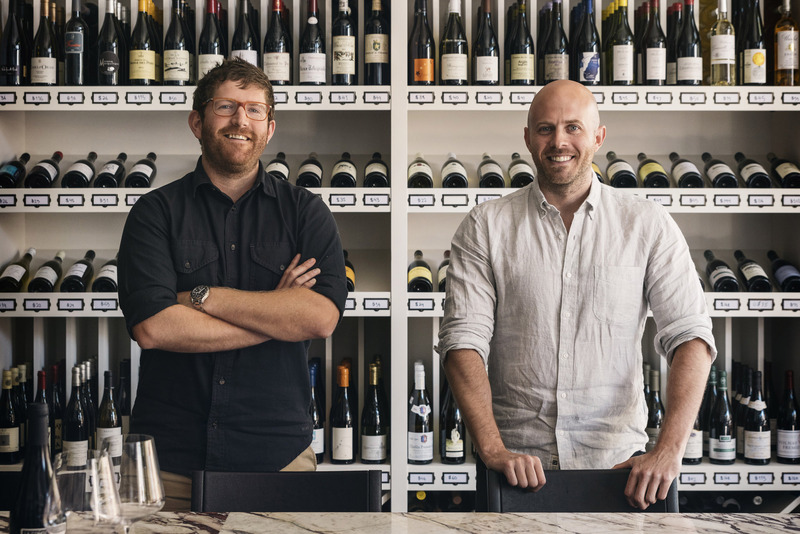 With a focus on small, family-owned wineries, master sommelier Dustin Wilson and Derrick Mize expand their acclaimed New York City wine shop to San Francisco. Wine for Dummies. It was the first book that a twenty-something waiter at Ruth’s Chris Steak House, Dustin Wilson, read to nurture his burgeoning interest in wine. You’d never know it when, some years later, he passed the master sommelier exam, a painstaking experience captured in the 2012 documentary, Somm. After stints as a sommelier for acclaimed restaurants like Aspen’s The Little Nell and San Francisco’s RN74, as well as his dream job, wine director at New York City’s acclaimed Eleven Madison Park, Wilson ventured out on his own. That sentiment, coupled with a feeling that wine shops could use “a little freshening up,” led to Verve Wine. With business partner Derrick Mize, they opened a store in New York City’s well-heeled Tribeca neighborhood. A San Francisco outpost followed in June 2018. Don’t be surprised if you take one step inside the bright, sunlit shop in San Francisco’s Pacific Heights and have the desire to relax with a glass of wine. 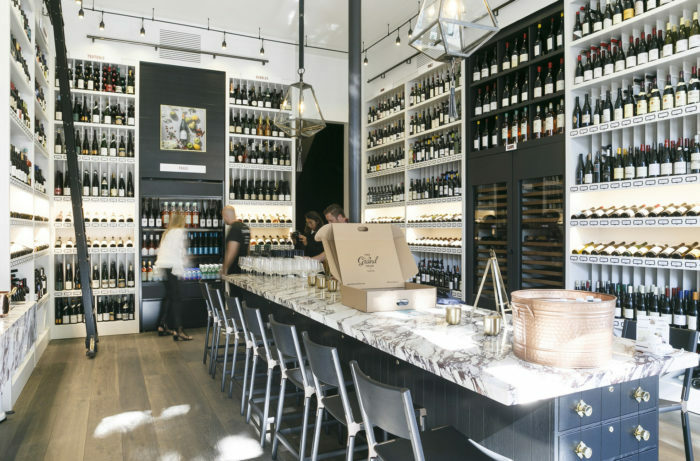 The welcoming vibe comes courtesy of sleek design and a stunning white marble table in the center of the space, where the shop hosts frequent winemaker seminars and tastings. 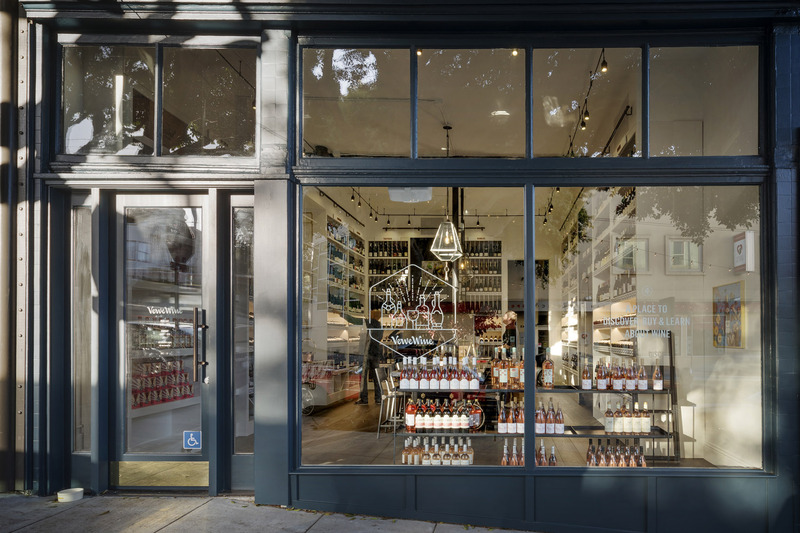 Unlike the New York City shop, which replaced an existing wine store, the San Francisco location began as a raw space that Wilson and Mize customized to their liking. “It was a cleaner start, so we got to do what we wanted with the materials, the colors and the functionality,” says Wilson. Richard Felix-Ashman of Handel Architects designed the oak-floored interior. Wilson loves the tall, white shelving and the photos from the shop’s Instagram account that decorate the walls. 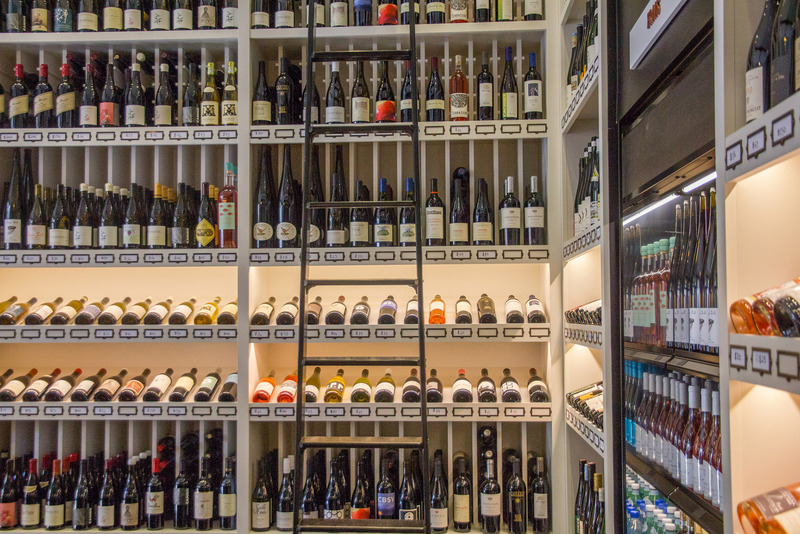 The San Francisco shop carries about 3,000 bottles, while a nearby storage unit houses thousands more. Selections can be ordered from that offsite inventory at the store, and a majority can be delivered to homes the same day or the next day, a service not currently available at the New York City location. After hours, Wilson uses the space for full buy-out events that include everything from a five-course dinner with pairings from an Austrian wine producer to a group of friends who just want to sample some bottles. “We got a great caterer, turned up the music and made it like a party,” he says. A return to San Francisco was in the cards from the get-go. “I love the wine culture and community there,” says Wilson. The bicoastal locations help grow its online business by cutting down on shipping deficiencies. He’s always trying to educate his customers, and to do so, Wilson expands his own knowledge and seeks out new producers. For those who don’t live near New York City or San Francisco, Verve Wine’s website has a section called “Dustin’s Recs,” which highlights wines he’s excited about right now. Spain tops his current list, specifically wines from Galicia and Catalonia. “They’re not necessarily using modern techniques, but we’re seeing more local grape varieties from people who are taking a hands-off, natural approach,” he says. One producer he points to is Alberto Nanclares, who makes what Wilson describes as a mineral-driven, somewhat salty wine that uses Albariño grapes. Wilson also recommends a little known Spanish region: Sierra de Gredos, set high in the mountains about an hour west of Madrid. There, Comando G creates single-vineyard Grenache that includes the Tierra de Castilla y León 2015 “El Tamboril,” which blends organic Garnacha Gris and Garnacha Blanca from sandy, granite soil. Wilson’s goal with Verve is to give small producers a bigger platform. “That’s my dream, to put them in the spotlight so that people can see and learn about them,” he says.